I found these growing under a small white pine next to the parking lot of a Little Caeser's. 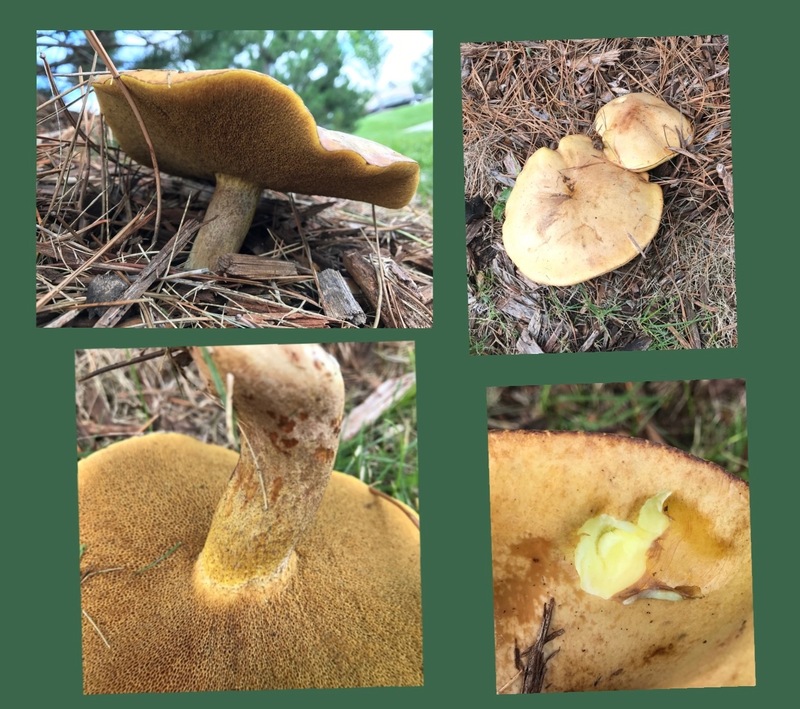 Features that led me to this identification include: habitat, large size, overall orange to brown color, yellow flesh, and the dark dots on the stem (which are called glandular dots). There's speculation that this mushroom has shifted its habitat preferences from strictly white pine to aspen and other trees as white pines were logged in the 18th century. 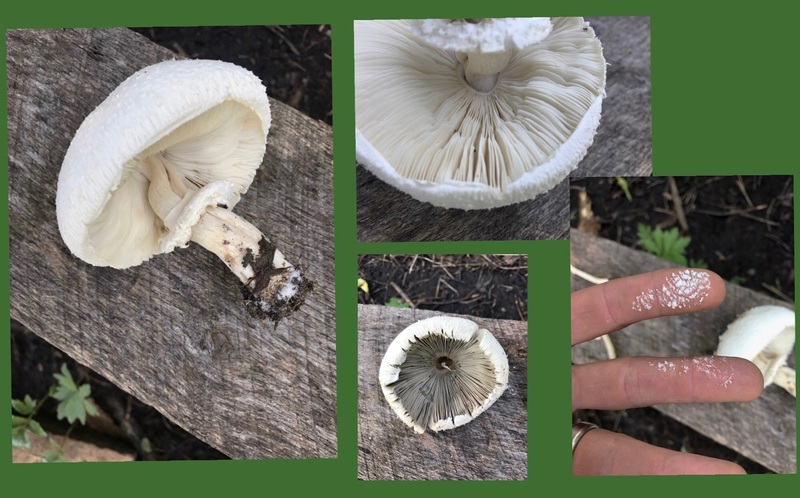 I wonder if the mushroom photographed has "switched" back to white pine that are planted in landscaping. Or maybe as species it's always had fairly catholic habitat preferences and the observed change from white pine to other trees just reflects changes in vegetation (not sure if I explained that thought well, but I'm in a rush). And by the way, I had forgotten my wallet, so I couldn't get any pizza! These mushrooms were growing near and among the above. 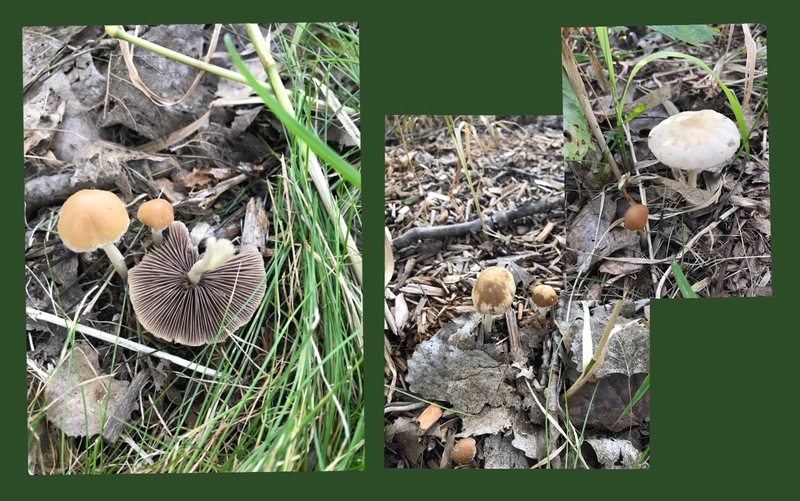 I didn't take really good notes, but the variable cap color (changing as it dries), fragile stem, and a dark spore point to a species of Psathyrella.